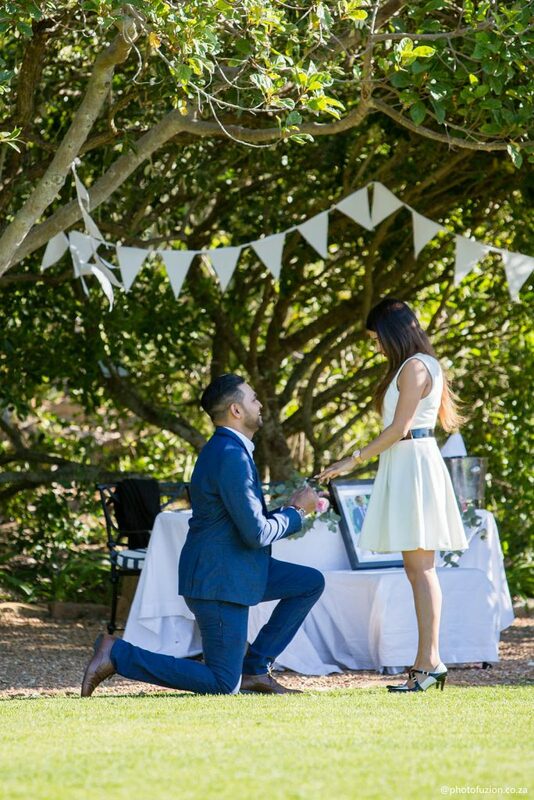 On Saturday the 24th November Bhavik asked his girlfriend Preyana to marry him. She said yes! The couple is from Johannesburg and were visiting Cape Town for the weekend. They have been together for a year and eight months and met through mutual friends. They love good food and travelling. 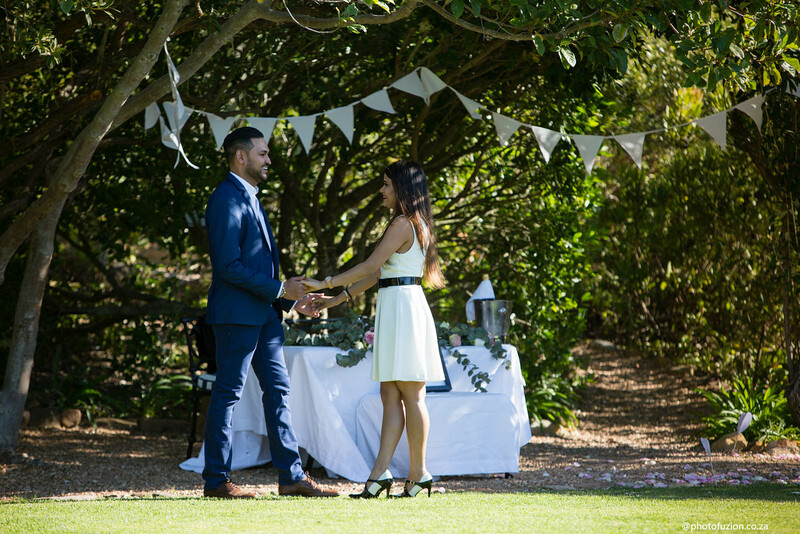 Bhavik contacted The Perfect Proposal, asking us for assistance with setting up a very special proposal for Preyana. 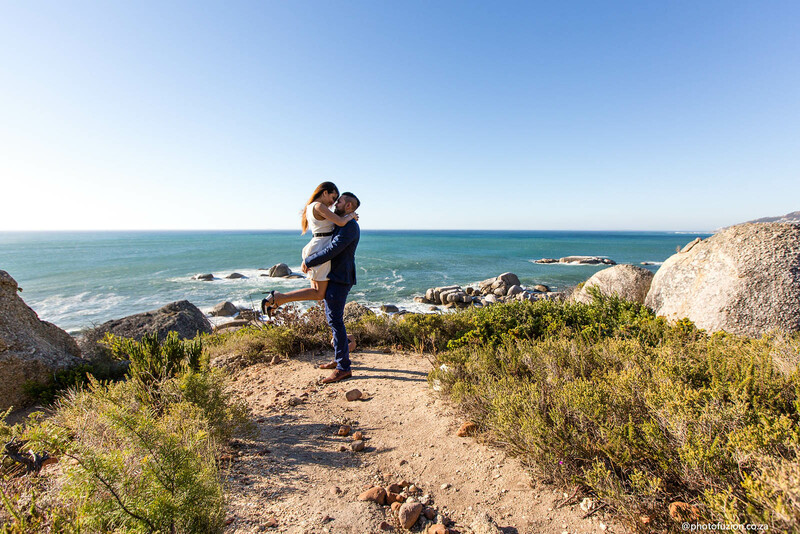 He wanted the proposal to be elegant and take place at a hotel with breathtaking ocean views. He also wanted a photographer and a musician to be involved. 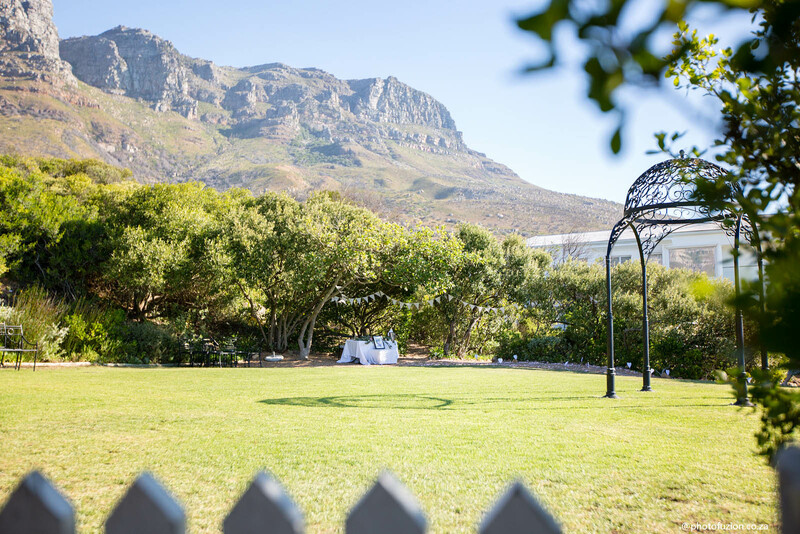 We decided on the 12 Apostles hotel, as it has amazing views of Camps Bay and Lions Head. The couple spent two nights at the hotel and had a lovely little getaway. 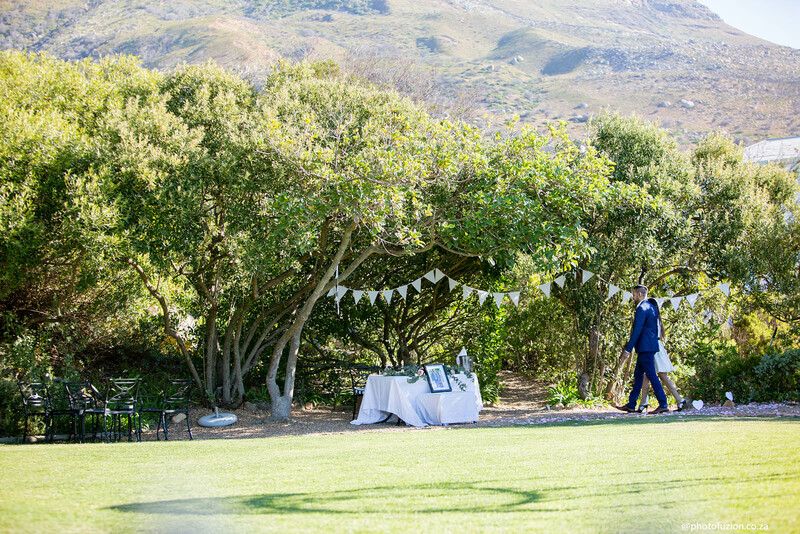 The wind was very strong on the day, so we decided to set up in the garden ceremony area, instead of on the mountain, as it was more sheltered here. Preyana’s favourite colours are pink and black and she loves roses, so we scattered pink rose petals on the path leading up to the picnic spot. 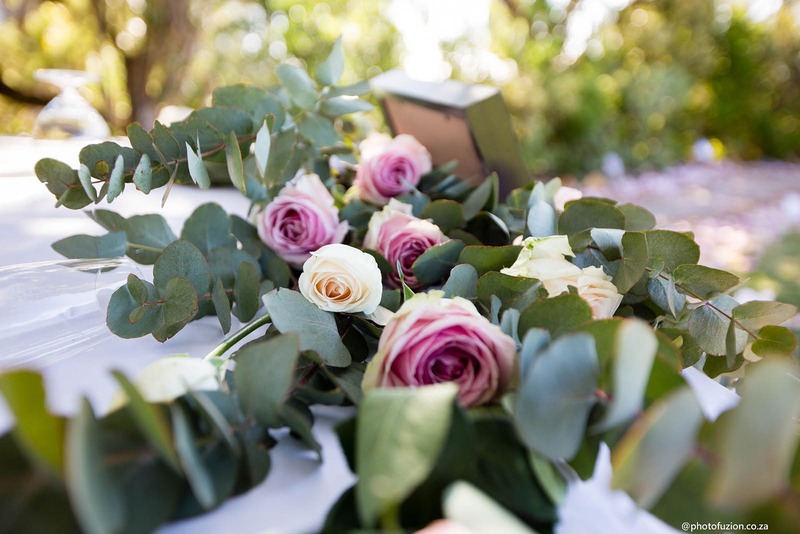 We tied bunting between the trees and decorated the table with beautiful pink and white roses. Bhavik led Preyana along the path and to the picnic spot in the garden. 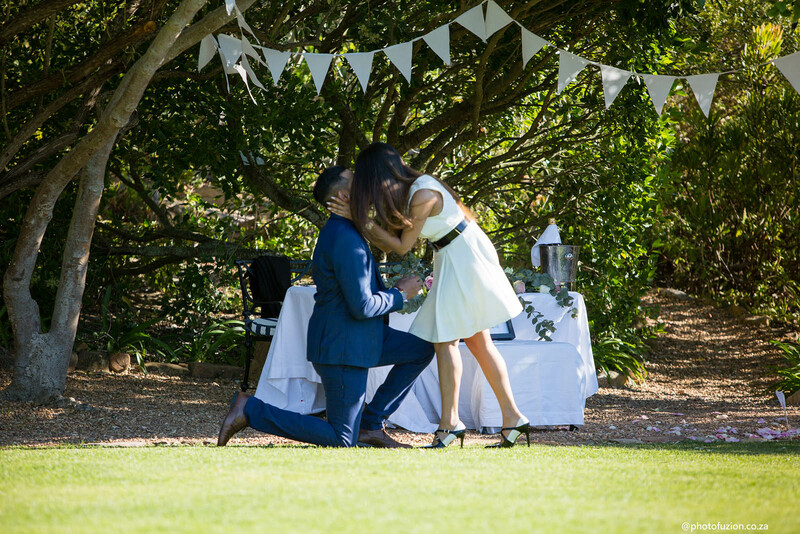 As they approached the table, he got down on one knee and proposed. 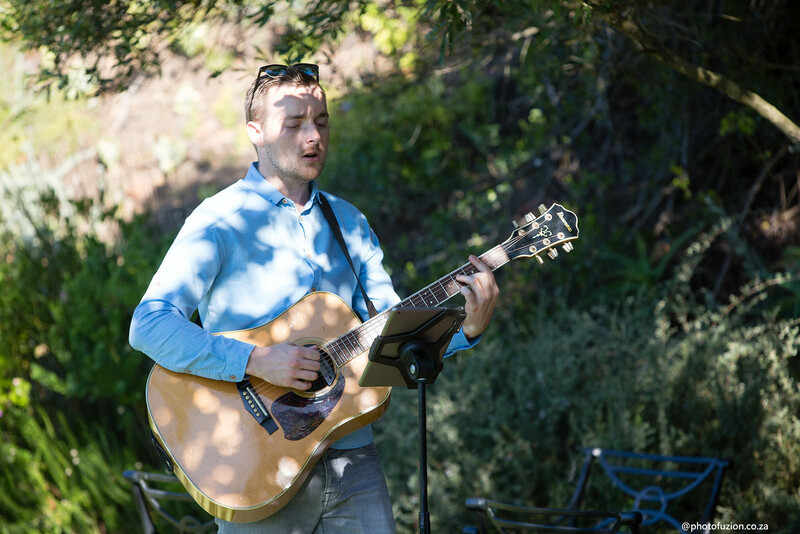 Chris sang ‘Everything’ by Michael Bublé and Lesley captured the couple’s special moments with his camera. 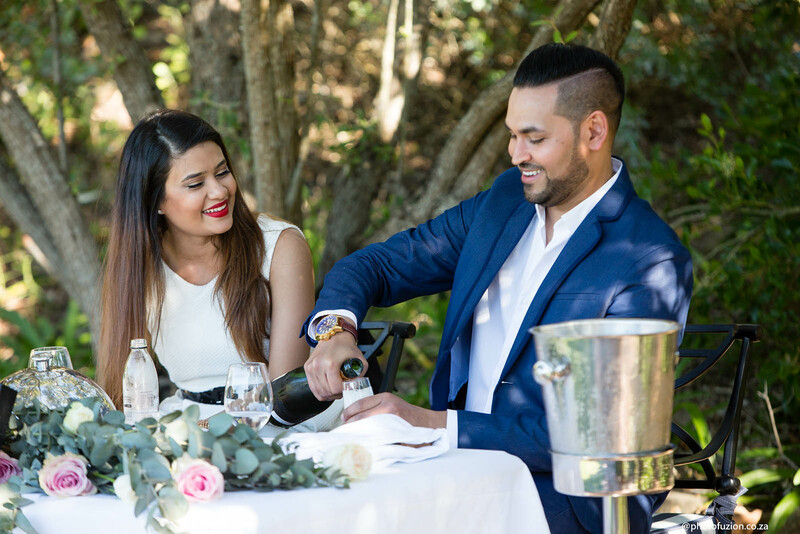 The happy couple celebrated with champagne and after the proposal, they had a private romantic dinner on the terrace of their sea-facing suite. 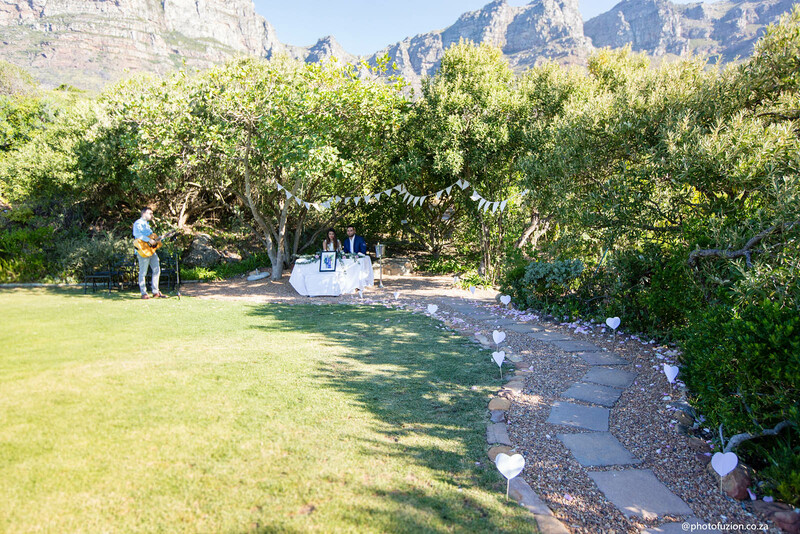 Bhavik and Preyana picnic proposal at 12 Apostles hotel was magical! We wish this couple a very happy future together. 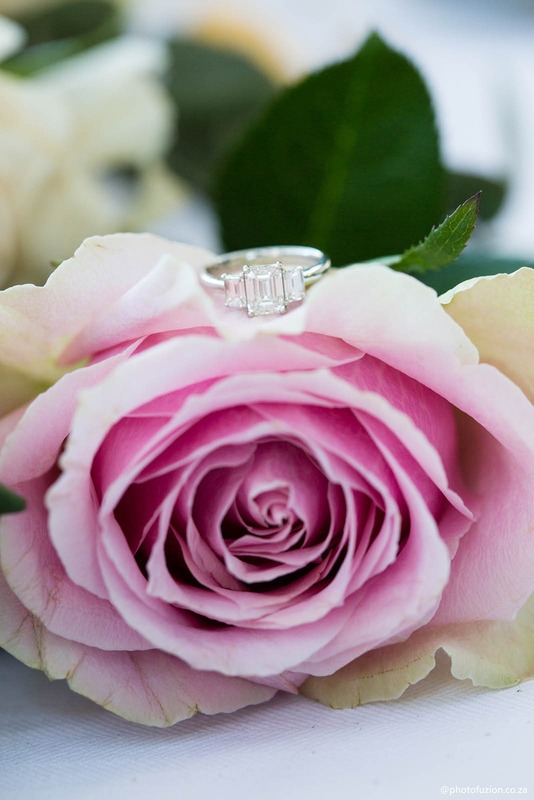 Hiring a photographer is a great idea to capture your special moments and have a record of all your memories. Look at our popular packages for more info.